Rob Potter was born January 6th, 1957 in the steel town of Hamilton, Ontario and grew up in neighboring Dundas, Ontario. 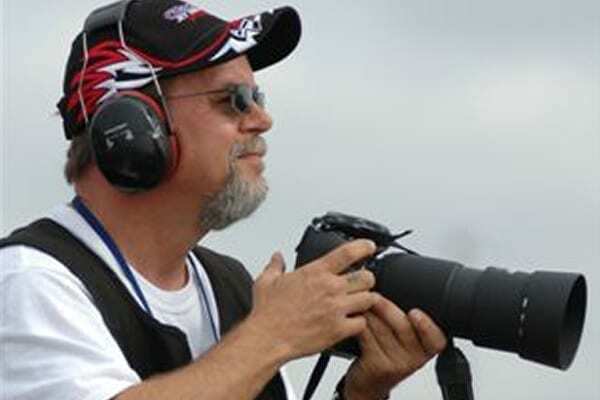 He first became familiar with Southern Ontario’s drag racing scene at the age of eleven, when he began taking pictures of the area’s hot cars. By 1974, Potter became a regular at the drag parks where he practiced and honed his skills by shooting photos of the races. 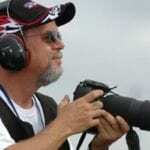 In 1986 he earned the title of Official Photographer for Dragway Park, in Cayuga. 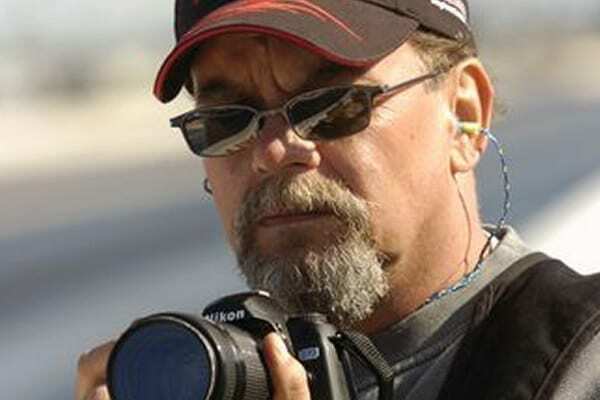 This position enabled him to shoot at national events for the National Hot Rod Association (NHRA) and the International Hot Rod Association (IHRA). In 1998, Potter made the decision to study full time at Sheridan College, earning a diploma in Photography. Potter’s work has been published in leading drag racing and car enthusiasts’ magazines and newspapers. 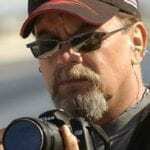 He remained a leader in drag racing photography until 2007, when he took over full time as an announcer at what is now known as, the Toronto Motorsports Park, a job he continues to hold today. 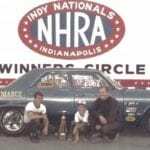 In addition to Potter’s career accomplishments, he contributed immensely to the drag racing community off the track. Not only is Potter an avid supporter of the Drag Racing Association of Women (D.R.A.W. ), for the 50th Anniversary party for the Dragway Park Cayuga, he put together the largest single display of Canadian Drag Racing history. 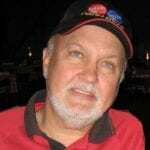 Additionally, he continues to be actively involved in non-profit events such as, the Drag Strip Memories Show series, as well as, other events which bring together racers and fans from both the past and present. Rob Potter’s generosity and contributions to the sport knows no limits. He has selflessly guided and helped many photographers and announcers, all with the goal of making the drag racing world better. Potter shows no signs of slowing down and today, can be found at a dragstrip near you either with a camera, a microphone in hand, or racing his 67 Rambler.